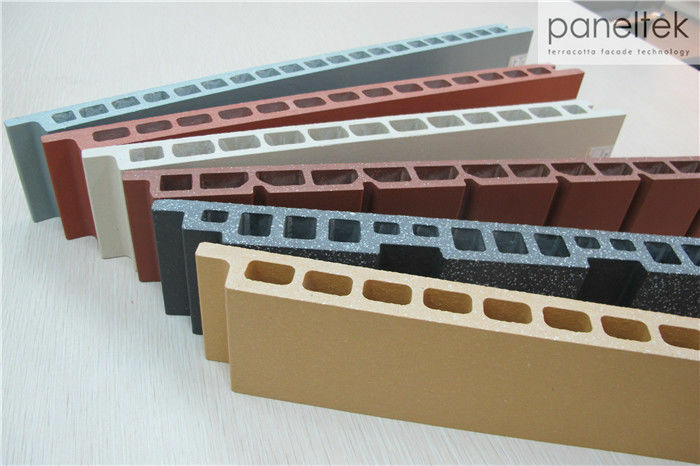 The terracotta facade is a ventilated curtain wall/ rainscreen system whose exposed components are made from terracotta clay. Proprietary facade solutions can move water away from building envelopes, using a ventilated and pressure-equalized system. Natural chimney effects not only keep the building dry to reduce maintenance, but also help save energy. 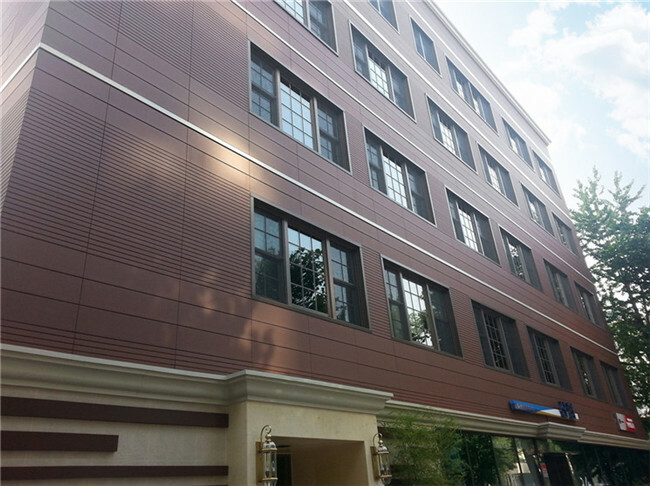 Terracotta facade rainscreen system ensures excellent integration of the system in any classical and contemporary wall construction. The system components are manufactured so as to maximize shape, accuracy and guarantee best fit. Q: Could you support free sample? A: Yes. We can supply free samples. But the delivery charges will be covered by our customers. A: Depends on order details. Generally speaking lead time is within 30 days, since almost all orders are custom-made. A: 30%TT in advance and the balance to be discussed. The irrevocable L/C at sight will be accepted. 3. Small trial order can also be accepted. 4. Customized Size & Surface Treatment as your requirement . 5. Quality Inspection --- We accept third Party Inspection . 6. If you are not sure about what exactly you need - feel free to contact us anytime and get professional assistance from us.